I know everyone's psyched to hear that there's going to be a Superman/Batman movie coming up in a year or so. And so far they're trying to make it look like Batman and Superman will be fighting each other in the movie or something like that. I'm not sure that's going to be a great plot to start off with since their both heroes and all but whatever right? 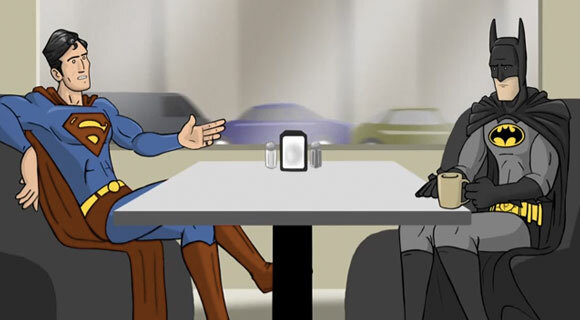 Anyways, the guys over at HISHE decided to take all the "who would win" debate over at the Super Cafe. Not that I'm biased and all but I'm pretty sure Batman will win because Superman is pretty damn boring. Who do you think'll win?